The purpose of OwnTHD is not to simulate 99.999% close to the original, nor how many equipment it can simulate, but beyond that, which is build your own "color of sound". 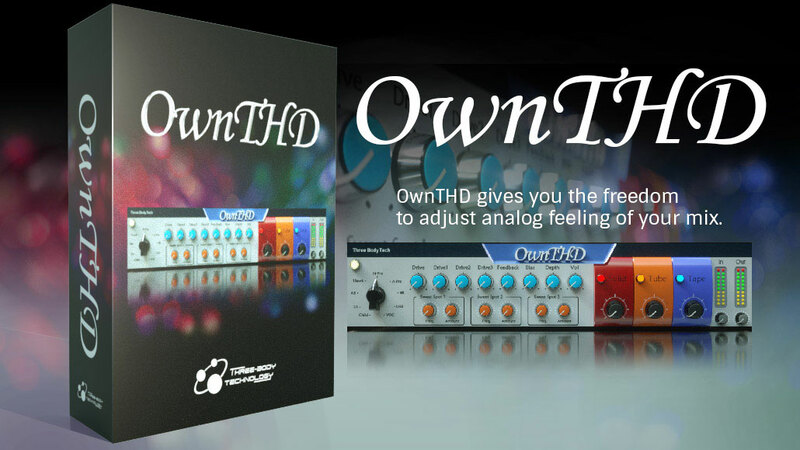 That's the meaning behind the name OwnTHD: build your "Own" "THD (Total Harmonic Distortion)". 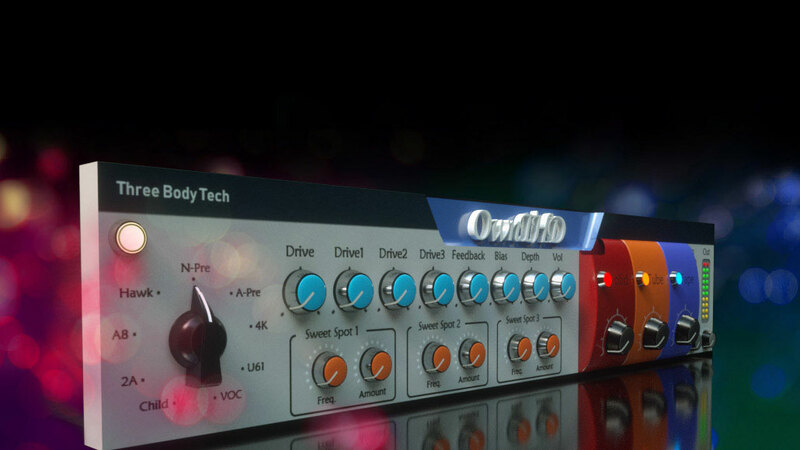 OwnTHD provides 9 types of classic equipment simulation that fit different genres. Unlike other equipment emulation plug-ins, OwnTHD focuses on simulating Nonlinear behaviors of the equipment. You can get the color of the "2A" type compressor without compressing the audio. Unlike a simple waveshaper, the mechanism behind how vintage gears produce distortion is complicated. OwnTHD not only simulates the complexity of it, but also makes it adjustable. You'll get something like the simulated original but more than just that. For instance, on the original preamp that "N-Pre" based on, you can only adjust the amount of harmonic by setting the input level. But in OwnTHD, you can adjust the amount of "color" by setting the 4 "drive" knobs. Bias and Feedback with Depth control are common ways of audio equipment design, many equipment used them more or less. But it's not necessarily they'll allow users to adjust them. OwnTHD lets you adjust all three parameters above. You can adjust positive or negative of Feedback, increase or decrease Bias and Depth. Every classic equipment has its own unique "sweet spot", some of them has warm low-end while others have has smooth high-end. OwnTHD reproduces the sweet spot of these 9 pieces of equipment and also makes it adjustable. For instance, low frequency content of "4K" has lots of punchiness, which is the characteristic of its original. By setting "sweet spot", we can not only make its low frequency content feels punchiness, but also its middle frequency content. Vise Versa. Besides classic equipment simulation, OwnTHD also provides 3 ideal circuit module simulations: Solid-State Simulation, Tube Simulation and Tape Simulation. By setting the proportion, it's like you got Solid State preamp, Tube preamp and Tape Machine connected in series. In real world, this combination may increase noise level, impedance mismatch and other problems. But in OwnTHD these problems don't exist. You can get the silky feeling of Solid State preamp, the warmness of Tube preamp and the vintage feeling of Tape Machine at the same time, and adjust its proportion. Check below for online demo streaming. Each demo is named after one of the different "types" in OwnTHD. No other effects have been used in these demos except OwnTHD.